BALLYGALGET of Down coasted to the easiest of victories over London title holders Brothers Pearse in the All-Ireland Hurling Club Championship quarter-final before an attendance of 700 at Ruislip yesterday. Although it took the visitors time to settle down they really took charge in the second half and only fine goalkeeping by the young Shay Walsh prevented the game from turning into a rout. Looking but a pale shadow of the side that produced such a stirring performance in the London final in October, Brothers Pearse’s eclipse could be attributed to lack of competitive match practice with the players being inactive for the past seven weeks. Ballygalget, although deserving winners on the day failed to convince and it is evident that improvement is called for if they are to proceed further in the competition. 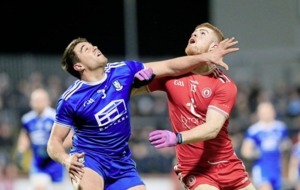 Their real strength was in the middle of the field where Brendan Gallagher and Paddy Monan never relinquished their early stranglehold despite the many switches made by the opposition over the hour. opened up many promising moves in the visitors’ forward line. As for Brothers Pearse the only players who may look back on the game with any degree of satisfaction were Enda Monaghan, Kevin Moroney, Brendan Ryan and of course goalkeeper Walsh. (0-3, 2 frees), S Ivors, M Malone, C Brown Sub: J Aldridge for Ivors Ref: P Ahern (Carlow). ANTRIM hit rock-bottom yesterday when they crashed to a one point defeat against a Limerick team who hadn’t won a game of any sort for 12 months. A crowd of only 300 took in the lively National Football League Division 2A clash at Dromcollogher. The Shannonsiders left victory rather late with their clinching point coming from the boot of Michael Reidy three minutes into injury time. 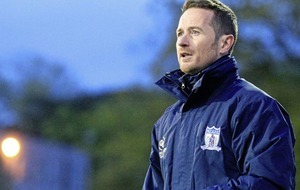 Limerick will not complain, however, and manager Paddy Mulvihill tasting his first brace of points believes they can build from this result. looked as if they were going to give themselves a lift up the table. rather simple 13th minute goal to leave it 1-1 to 0-3. Newcomer Colm Hickey opened a two points gap but then the visitors swung back into action again and thanks to Kevin Madden were back on terms 1-3 to 0-6 in 23 minutes. and the smile was on Antrim faces when Joe Kennedy put them back in front at the interval. It was a different sort of game on the turnover with both defences having learned their lessons from the first half and tightening up they kept tabs on their respective opponents. 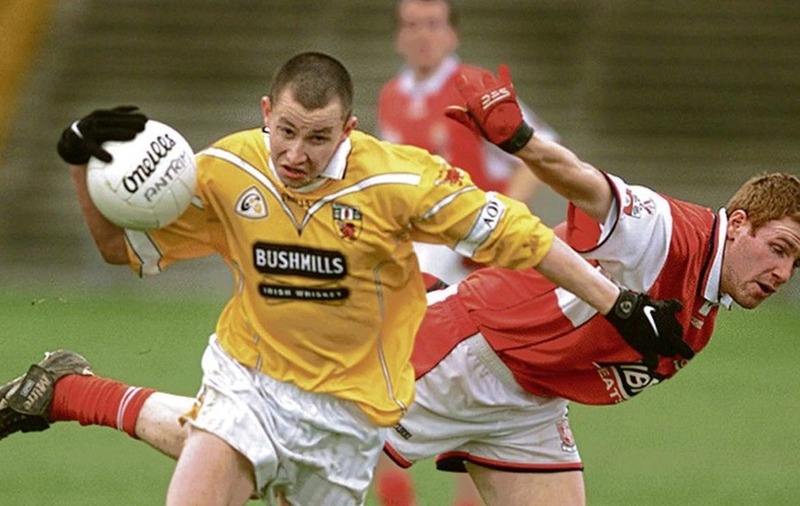 Antrim, with Anto Finnegan and Joe Quinn stepping up the pace, made a few dangerous raids and Madden once more capitalised with another brace of points. Ryan followed up to leave it all square at 2-6 to 1-9 and just when both teams were preparing to accept a points split up stepped Michael Reidy to find his range from a 22-yard free from an acute angle. It was an entertaining game with both sides with little to lose prepared to have a real go. Limerick were mighty thankful to get their first points on the board in the league but Antrim will be disappointed in that they let it slip from them in the first half in what was their first ever competitive game against Limerick. A formal complaint may be forwarded from this and further discussions to Irish League officials, while Glentoran could face an inquiry into the incidents. Jeffrey said he and others in the technical area were repeatedly spat on, spittle was directed into his face, bottle tops, coins and other missiles were thrown. Jeffrey said that while used to verbal abuse during his playing career, and since taking charge of the Blues, what happened at the Oval was shocking. “I can only reiterate, at this point, my immense disappointment at what occurred and I will not tolerate being subjected to that kind of unacceptable behaviour. “The kind of abuse I was subjected to on Saturday goes way beyond what you are prepared to accept."